One of the simple pleasures in life is enjoying a delicious meal, and there is no shortage of amazing restaurants in Brea, California. Be adventurous and go exploring to find your new favorites. Let us get you started with this list of restaurants with high ratings. Bruxie is located at 215 W. Birch Street, Suite 1, in Brea, CA. This address is in the 92821 zip code area. For more information, call 714-255-1188. They are open Monday – Friday at 9 AM and Saturday – Sunday at 8 AM. 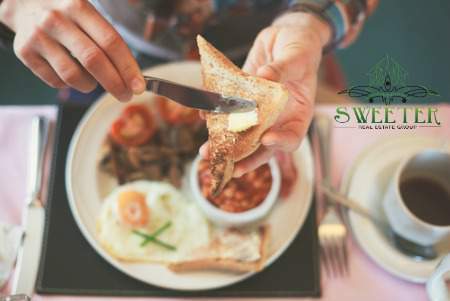 Known for their gourmet waffle sandwiches, you can’t go wrong visiting this king of breakfast. That’s right! Who needs bread when you have crispy, delicious waffles. There are incredible options for fillings that include chicken, pulled pork, and mushrooms with goat cheese. Looking for the traditional breakfast? They have you covered with sausage, ham, bacon, and prosciutto. They offer a variety of coffee beverages and kid sized meals. Crepes de Paris is located at 275 W. Birch Street, Suite 3, in Brea, CA. This address is in the 92821 zip code area. For more information, call 714-529-3816. They open daily at 8 AM. They do one thing, and they do it well. Crepes are their business, and you’ll get the best around when you visit this fine restaurant. Savory options include ham & cheese, curry, spinach, or their special Viva La France crepe. Looking for something sweet? Check out their chocolate, banana, or Nutella crepe. Breakfast crepes include La Bastille, Le P&J, and Maple Banana Crepe. Need your crepe on the run? They have you covered with cheese, brown sugar, or cinnamon sugar. Green Tomato Grill is located at 796 N. Brea Blvd. in Brea, CA. This address is in the 92821 zip code area. For more information, call 714-987-3766. They are open Monday – Friday from 6:30 AM – 9 PM and Saturday – Sunday from 7:30 AM – 9 PM. If you’re looking for healthy and delicious options for your lunch break, check out this restaurant. They have an extensive menu with everything from wraps to grill bowls. Braises include Red Beef & Tomato, Green Chile Pork, and Yellow Curried Chickpea. Flatbread melts include Greek Chicken Melt, Chile Verde Steak Melt, and BBQ Pulled Pork Melt. Other items you may consider worth a taste include the Mediterranean Chicken Bowl, the Thai Shrimp Bowl, the Hawaiian Ahi Tuna Poke Bowl, and CK’s World Famous Fish Tacos. Don’t forget to try one of their Agave Lemonades. Slapfish is located at 3405 E. Imperial Hwy. in Brea, CA. This address is in the 92823 zip code area. For more information, call 657-444-2291. They are open daily from 11 AM – 9 PM. We must warn you that eating here could create an addiction to their amazing dishes. Known as a modern seafood shack, this restaurant supports sustainable seafood. Snack items we spotted on their menu include Chowder Fries, Shrimp Ceviche, Housemade Pickles, and Natural Cut Fries. 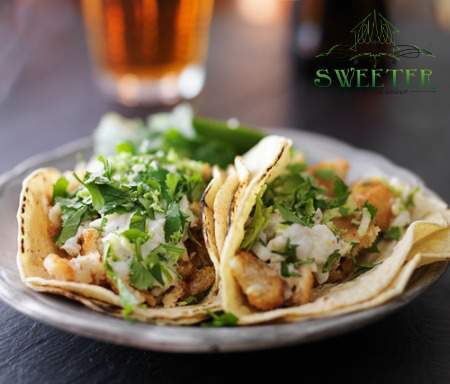 Their signature dishes include Ultimate Fish Taco, Baja Mahi Sandwich, Simply Grilled Fish Salad, Surf N Turf Lobster Burger, and Lobster Roll. If you’re looking for something unique, give one of their Fountain Sodas that are locally produced. Marketplace Cafe is located within Nordstrom at 500 Brea Mall Way in Brea, CA. This address is in the 92821 zip code area. For more information, call 714-529-0123. They are open Monday – Friday from 10 AM – 8 PM, Saturday from 10 AM – 7 PM, and Sunday from 11 AM – 6 PM. If you’re out shopping and want a quick or casual meal, you’ll appreciate the options you have at this restaurant. This is not your usual diner food, but the atmosphere rings true. Sandwich options include Turkey & Swiss Panini, Classic French Dip, and Cranberry Turkey. Salads include Fresh Berry & Fig, Chinese Chicken, and Blackened Wild Salmon Caesar. If you’re looking for something more substantial, we’ve spotted Chicken Tomato Alfredo, Grilled Skirt Steak Chimichurri, and Tuscan Roasted Chicken. The Hat is located at 1210 E. Imperial Hwy. in Brea, CA. This address is in the 92821 zip code area. For more information, call 714-257-9500. They are open daily from 10 AM – 1 AM. They’ve been serving people since 1951 with their world famous Pastrami. You won’t find a lot of fluff on their menu, but you will find amazing options that will keep you coming back for more. 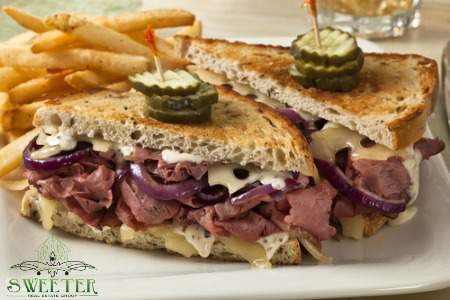 Grab a Pastrami Dip, Chili Dog, Steak Sandwich, or one of their burgers. Cold sandwiches include Tuna, Chicken Salad, Cold Beef, and Avocado. They’re serving up diner favorites like Gravy Fries, Onion Rings, and Potato Salad. Sweeter Real Estate Group is pleased to bring you information about the local community, businesses, and events. Keep us in mind for all your real estate needs. Call us at 714-514-5004 to discuss selling your house or to tour available homes for sale in the area.